Alexander Alberro and Patricia Norvell, eds. The once far-fetched art and ideas of a loose group of renegade artists in the 1960s have gained art-historical strength over the years and presently command the lion’s share of discourse on American art of the period. 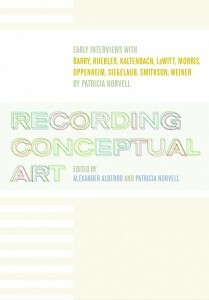 Recording Conceptual Art, a collection of unedited interviews conducted by Patricia Norvell and brought together by Alexander Alberro, is essential reading for scholars of contemporary art, artists working with conceptually based practices, and anyone interested in the art of the 1960s. The book’s content offers multiple approaches for further study and is exceptionally profitable for comparing the intentions of each artist early in his career (the interviewees are all male) to their midcareer and present-day work. With the recent opening of Dia:Beacon in upstate New York, and especially since several of the artists here have received major museum retrospectives in the past ten years, the publication of these interviews is most welcome. The scope of the book is exhilarating for the reader but troublesome for a reviewer; it is impossible to go into detail in such short a review on the ways in which Recording Conceptual Art could be used. Conceptual artists are often lumped together stylistically and historically. The value of Recording Conceptual Art is how it stresses the heterogeneity of this select group of New York artists when, by 1969—the year these interviews took place—Minimalism and Conceptualism had become global phenomena. In fact, perhaps the only unifying factor about the group is their desire to make art without paint and brush or chisel and stone. 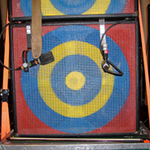 Norvell and the artists bring up many ripe issues—about the form, content, and meaning of art; the impasse of the avant-garde; the role of the first-hand art experience and its subsequent documentation—issues that have yet to be uniformly resolved; thus, the discussions here are both historical and contemporary. Originally called “Eleven Interviews,” the book’s content was Norvell’s master’s thesis in studio art at Hunter College in New York. (Robert Morris, incidentally, was her adviser). 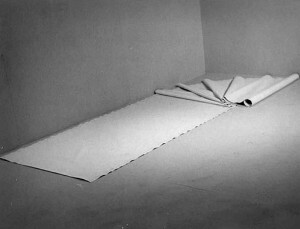 Clearly this project was approached with history in mind, from the point of view of both the interviewer and the artists, who, as Alberro writes in the introduction, “insert themselves into a historical narrative.” The ways in which the artists clarify their own work, practice, problems, and solutions are more enlightening than their relationship with art history. The interviews are arranged chronologically. As a whole, Norvell asks roughly the same half-dozen questions to each artist. Transcriptions are faithful to the situation of the interview itself so that the reader feels as if he or she is in the same room as Norvell and her guest. Grammar is, for the most part, left uncorrected, and pauses, silences, and unintelligible passages appear in the raw. Because of this format, Carl Andre and Joseph Kosuth refused permission to include their talks. As the former was an early Minimalist and the latter a strong voice from the era, their absence is keenly felt. This is not surprising: as language was a primary concern for these artists, control over their own words is as important now as it was then. Douglas Huebler realized that “language is built right into the [art] experience,” and words became a major part of his and others’ work. Robert Barry looked for ways to make it known that his art existed without using the imperfect systems of language and photography. Similarly, other artists, such as Morris, were up-to-date on the latest criticism and were even writing it themselves. Much critical theory since the 1960s has rejected biography, but in these interviews we see the artists as affable, moody, serious, and self-deprecating. And in spite of the apparently impersonal nature of much conceptual art, Lawrence Weiner maintains authorship of his work, stressing how important it is for an artist to “assume responsibility” for his or her creation. Nevertheless, taking an artist’s words at face value should be discouraged, as several of the men repeatedly stress the neutrality of their art, whether in object, concept, and execution—proper critical or historical analysis often proves this notion to be far from the truth. 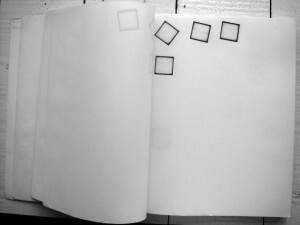 During the course of the interviews, the artists respond to complications in other artists’ working methods as well as in their own. LeWitt and Robert Smithson often create self-perpetuating systems, but Weiner views process-oriented art as “aesthetic fascism.” Huebler’s affectionately titled “dumbbell systems” are an integral part his work’s final form, and he deems resulting photographs as an integral part of his practice. For Dennis Oppenheim, documentation is the weakest part of his work. Interestingly, Norvell does not ask about individual works of art; the artists bring up their own and others’ work to illustrate their points. The questions Norvell asks evolve: she regularly brings up a couple of new questions with each interview that become added to her original list. The book becomes a more engaging read when Norvell responds improvisationally to her subjects’ words, rather than sticking to the script. Alberro and Norvell put forward the notion that these interviews are a process piece, a Conceptual-art project. In its original form as audio tape, “Eleven Interviews” is arguably a process piece, but in published form as Recording Conceptual Art, the texts are more like a snapshot, or rather photodocumention, of the aesthetic concerns of this small group of New York artists in the spring of 1969. Moreover, in publishing these interviews in a book format, Norvell does little to redefine what an interview should be, at least not in the same way as the artists with whom she speaks were testing the limits of art and the art object—though printing the dialogues verbatim is certainly a bold move. Could a collection of interviews with painters championed by Clement Greenberg or with an assortment of Pop artists—executed in the same manner as Norvell’s project—make the same claim as “art”? Indeed, in his introductory essay, “At the Threshold of Art as Information,” Alberro leaves the reader to decide whether or not “Eleven Interviews” is art. Regardless, we are so much the better for having Recording Conceptual Art in its present form. Originally published in the Art Book in January 2004.